My application for Programme of German Business started with wish to learn something new. I was studying Molecular biotechnology in Zagreb and while working on my master thesis in lab, I figured out what fits for me and which path I would like to go. At that point, I thought that applying for this Programme was perfect for me! 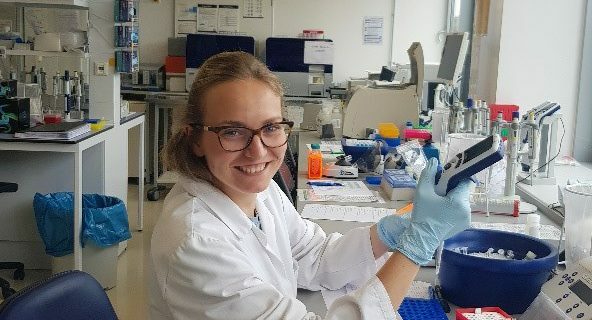 After collecting all necessary documents and having interviews, I got internship in Mainz, in company TRON – Translational Oncology at the University Medical Center of the Johannes Gutenberg University Mainz! 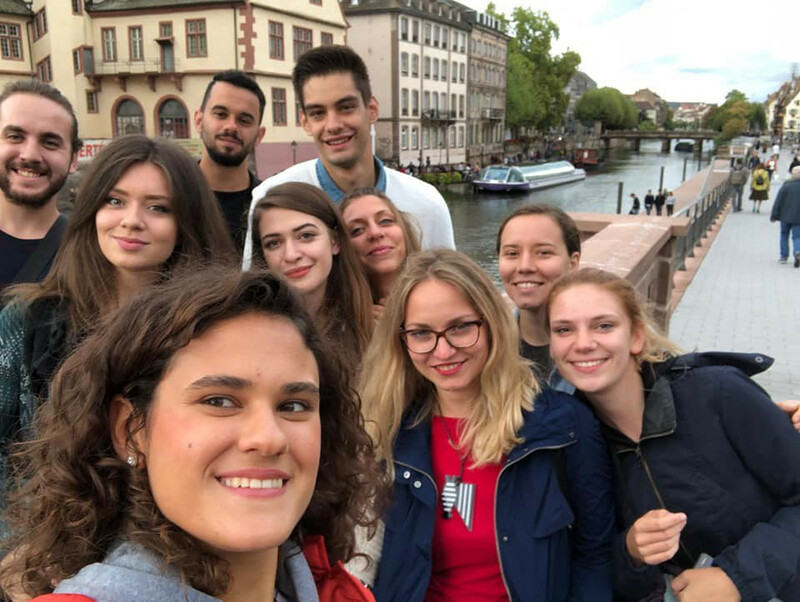 Before internship started, an introductory week in Berlin was prepared for all interns. We had such a great time! 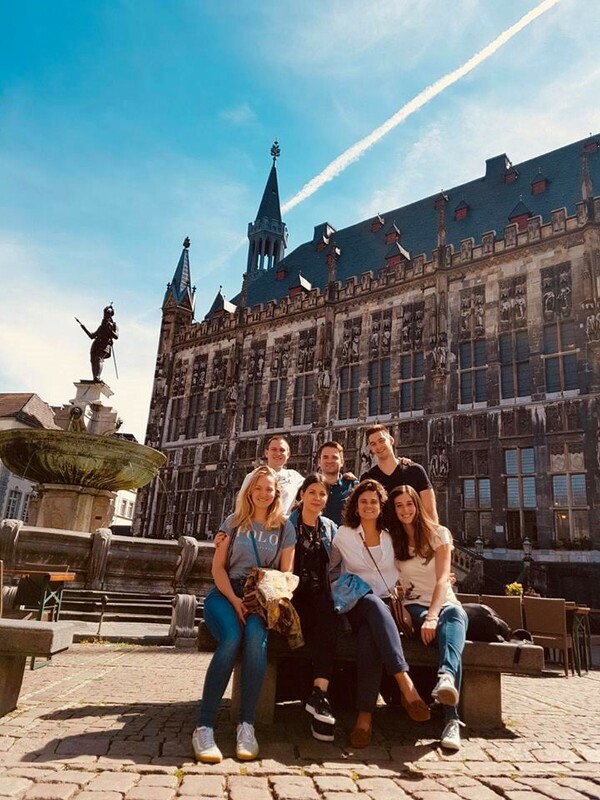 I was fascinated with perfect organisation for such a big group of people and really happy that we had preparation for our future life in Germany. 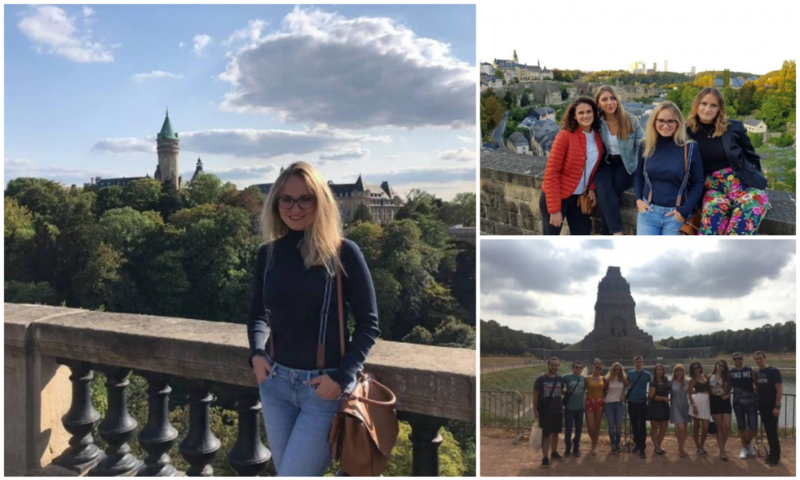 Apart from workshops, presentations, and visits to some important institutions, there were 65 people from seven countries with the same enthusiasm to learn something in Germany connected to their working field. We were hanging almost every night together and explored Berlin. After Berlin, we figured out that we will be a family, and help each other in hard times, as well as share positive moments. We had also a huge help and support from Programme alumni in our countries. They told us what to expect, answered all our questions and shared beautiful memories that they had in Germany. After all the preparation, I came to Mainz and no one before had an internship in this city. I was really excited, but also and a little bit scared. I didn’t know what to expect and would I fit in into the company. When I arrived in Mainz, I went into the tram and had driven to my room in student dorm. After watching that beautiful city on hills, with stunning architecture, and all the parks, I knew, this is the right place for me. And finally, my first day at work started! I had great welcoming, people were really nice to me, everyone wanted to help me, and my mentors wanted to give me as much knowledge as possible. My internship is still not finished, but I so far learnt a lot! Also, I am included in many meetings and seminars in which I can present my work, and hear some new ideas and some new points of view from colleagues and mentors. 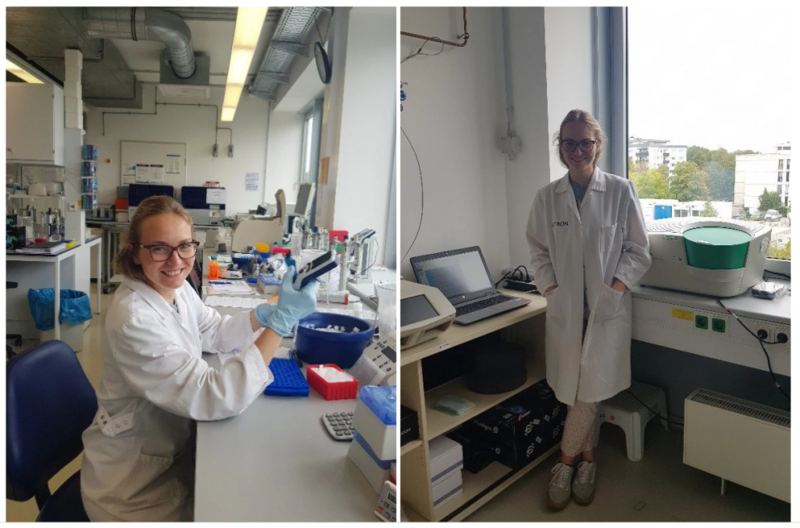 Working in a lab was challenging at start, but it was also interesting to learn new methods and skills and how some programmes work. But my mentor, as well as people from the lab were always helping me if I had questions. Now, working in a lab is even better! I am organising time on my own, and at the end discussing about results and plan future experiments with my mentor. Apart from modern technology, and many smart people, company organises gatherings and team building activities for their employees. It was really nice to see how people are nice treated, and how the good work is awarded. Because of this concept and many possibilities for people in Tron, I am really looking forward to go on work, and to see what results will I get that day. After work, I am attending a German course in a good school which is based only on speaking German during the class. Many interns are also learning German and it is much more easier to learn it while working in Germany. During the weekend, people from all countries are meeting and traveling. I visited so many places! For me, the best weekends were with people from mixed countries. We have all the same thoughts, but on the other hand – we are all so different. I had a great fun in a little village near Frankfurt with lovely people, but also saw big cities, every of them special for something else. We walked through so many cities and beautiful old towns; once went to the pool and had great time; we tried all kinds of food (even visited a wine festival) and talked about meaning of life till late in the night. Furthermore, we traveled through villages, next to many rivers and admired beautiful nature. At night, sometimes we just had a little relaxing time for us, while exchanging our experiences, but sometimes, we went out and visited some interesting clubs and places! I think we are very lucky to be part of this Programme, and to create special moments and memories for us. After spending some time in Germany and meeting people from the Programme, I can say this is much more than I expected. Sharing some special jokes from our generations, and going through life with this people is something very special, that one can not explain with words. It was really hard for me to write about my time in Germany. There is so much to say and share, but the best way to really understand it is to apply for this Programme and to see this through your own eyes! Vielen Dank für die Bewerbungen!